About the book: Can love overcome the tragic past between a hired bridesmaid and an FBI Agent? My review: Did you know that Amazon Prime members can borrow a book a month from the Kindle Unlimited library for FREE? I didn't until a month or two ago. Now I can keep up on some of my favorite authors new books without having to pay a dime, so fun! I think this is the second one I've borrowed. I really liked the whole premise of this one. Chloe's job as a bridesmaid for hire made me laugh. But I felt a little bit sad for her. 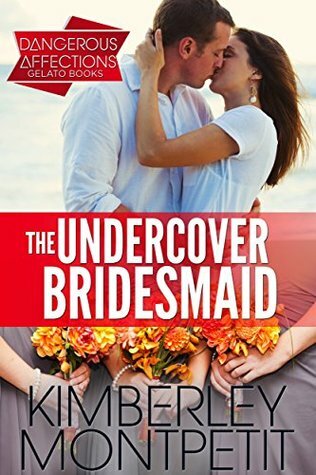 The whole reason she's working as a bridesmaid for hire is because of the death of her best friend in their chosen career as FBI agents. Chloe hasn't emotionally recovered and she never wants to see Liam Eposito again. Unfortunately, he shows up asking her to be her cousin's bridesmaid and to help him find diamond thieves. Her cousin, Mercedes, is the only reason Chloe even considers it. I loved the danger in this book. Chloe had a target on her head by the jewel thieves and she had the disadvantage of not knowing who they were. I actually had suspected the person and wasn't terribly surprised. But the getting to who it actually was made this book so fun! I also loved that Chloe was able to resolve her feelings over her friend's death and move on by the end of the book. Something I wasn't sure was ever going to happen. I really enjoyed this book. I loved that it was clean, full of action and adventure and just plain fun! I borrowed this book from Amazon.com.